The heartbeat of Dr. Richard Moore founder and President of Voice of Revival Ministries is to take revival to the Church and mobilize the Church to reap the end-time harvest. At 21 Richard entered into the ministry where he immediately began to take the uncompromising message of the Gospel across America and into the Nations of the World. In the summer of 1988 Richard Married his wife Ronda and together along with their daughter Sarah sue have taken Revival to nearly every state in America and 52 nations of the world got over seas 80 times. Richards’s meetings are accompanied by signs, wonders and miracles and are reminiscent of revivals past, where for the last 31 years Richard’s meetings have lasted up to 7 weeks with 2 meetings a day. From 1990 till present Richard has conducted over 8,000 revival meetings traveling an average of 300 days a year up to 500 meetings a year. After graduating from Bible School in 1988, Ronda accepted the ministerial opportunity to serve as Children’s Pastor in Louisville, Ky.She also later worked along side of her husband in upstate New York also excepting the role of Children’s Pastor for two years. 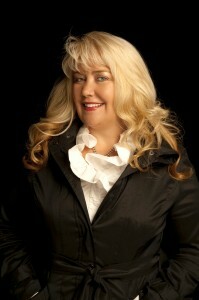 Ronda has been a popular speaker for Women’s conferences and has traveled speaking alongside her husband for 31 years in 52 nations of the world. 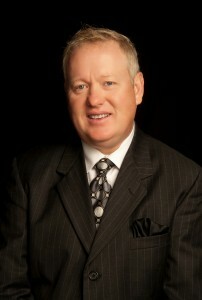 Pastor Mike Gates is our Outreach/Evangelism Pastor. Currently, Pastor Mike is steadfastly pastoring a church in Kilmarnock, Virginia and is actively involved in Prison Ministry. Pastor Mike faithfully joins our team and supports the Voice of Revival mandate. With extensive training in Prison Ministry, during our busy itinerate schedule, Pastor Mike travels with Voice of Revival and teaches congregations and individuals about outreach and Evangelism and shows them how to “take it to the streets”. Chris is a very successful businessman. He accompanies the Moore’s ministry extensively in the USA and into many Nations of the World. He assists our ministry team in training altar workers and providing security & procedures for churches. Chris is our Director of Outreach. He specializes in setting up crusades in the USA with a focus of street evangelism and organizing” Great Awakenings” using soul winning tools, training others and leading outreach in the “Crusade” neighborhoods with the Good News. Chris Pina has successfully completed three years of ministerial training at River Bible Institute after finishing the third year internship and has come alongside the Voice of Revival team to work with churches and set up mass evangelism. Sarah is our administrative assistant, helping us in day to day operations. She has completed two years of ministerial training at River Bible Institute and is working on her third year internship to graduate with a Bachelor’s Degree.